If you're anything like me, you've got a ton of gadgets from different sources that should talk to each other well and interoperate, but often don't. From laptops to cell phones to video game systems, TVs, stereo equipment, wireless hubs, DVRs to the more mundane home electronic systems, you probably wish things worked together a lot better - with fewer remote controls and less regimented ways of getting things done. As for me, I'm great about buying the best stuff, but terrible about optimizing it. I know my strengths, and that's never been one of them. 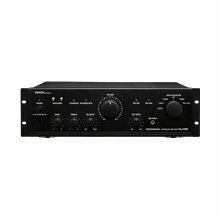 The good thing is that other people are, and I've teamed up with a good friend of mine to help get my house wired - the right way - over the next year. Tom Abell, who runs the great blog Home System Integration (subscribe now), is focused on making all the devices in your home work together. So when I told him that I'd moved into a new place last summer and hadn't even taken the baby steps like putting our flat screen TVs on the walls, he knew I would be a long-term project. So I put my trust in him, and between us both, we've completely revamped my home entertainment system, both downstairs and upstairs (in my office, which doubles as a den). Starting downstairs, with our family room, we added a Denon amplifier as the centerpiece to the system, plus a Dolby surround sound 5.1 theater system with an amazing subwoofer. The front speakers are wired from the TV, with the rear speakers getting audio wirelessly via bluetooth (from Rocketfish), suspended off our walls, masked by molding that matched the room so their connections are inconspicuous. 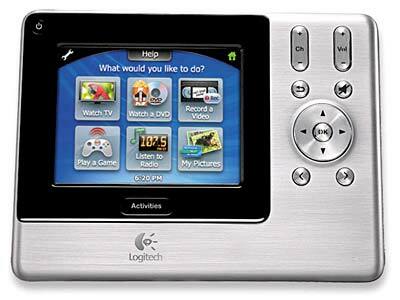 We then connected it all with a Logitech device that lets us control the TV, TiVo, DVD player, Apple TV and Nintendo Wii from a single screen. And wherever we could use HDMI, we did. Last night, the rumbling during Inception was enough to make my wife ask if we had an earthquake. So consider that a success. Upstairs wasn't as big a job, but a place where I spend a lot more hours, so it had to be solid. As with downstairs, Tom and I posted the TV on the wall with a new wall mount and we also got a new entertainment center that matches my desk and is capable of locking to keep my kids' fingers out. We again leveraged HDMI everywhere, and now have the TiVo, Wii, DVD/VCR combo, Airport Extreme, Apple Time Capsule and Sonos ZoneBridge all in one place, neatly cabled. The difference is incredible. We also salvaged the Bose subwoofer and speaker setup from downstairs and brought it upstairs, so the sound is great up here too. In time, I'll probably purchase an all-in-one remote from Logitech to run the place. Now that the entertainment side is in great shape, I wonder about being able to manage the rest of my home by computer or by any one of my mobile gadgets, be it via iPad or Android phone. Between Tom and me, there's got to be a good way to mess with the thermostat or turn off lights around the house without leaving my seat. I lust after Google Powermeter, but haven't seen that widely used yet. There should be a Web interface for the dishwasher to see how full it is and set a regular schedule. Same with the sprinklers in our front and back yard, or the lights that come on by our driveway that should start at dusk, but usually come on around midnight and stay lit until four a.m. So yes, there is work to be done. 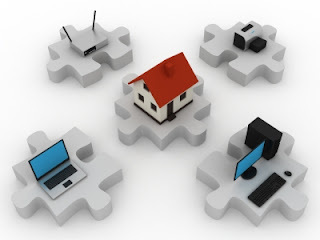 While I may be more focused on mobile apps, trends and Web services, Tom has put together a number of solid pieces on the connected home, the home theater PC (HTPC), and Windows Home Server. He's also a contributor to Hometoys.com, which I started reading the last few months, and is on Twitter at @home_integrate. If you're in the Bay Area, and suffer from gadget glut or just want to get them connected, it's my pleasure to recommend Tom. He promised to use me as a guinea pig, and our entire family has benefited from his strategy and physical labor, without a question. For the rest of you outside the area, make sure to check out his blog to get caught up on the world of home automation. I'm hoping to become more of an expert myself in the next 12 months, and filling some of my own knowledge holes in this space. Should be a fun challenge. It is with pleasure I can say I never got an MBA and I didn't get a marketing degree. I never even took a marketing class, and when first told I should go into Marketing, I was concerned about having to go door to door to get customers. So don't throw me in a big pile of suit-wearing glad-handing shiny smiling hucksters trying to spin lead into gold. But as someone who has a dozen years in Marketing roles in the Silicon Valley, I have been watching this weekend's skirmish about the value of Marketing (or lack thereof) for technology companies, spawned by Union Square Ventures' Fred Wilson, (who is a great blogger besides) with considerable interest. I know that we are in an industry that makes rockstars out of code jockeys, and who values warehouses and incubators full of entrepreneurial engineers who site side by side at long tables encumbered by little more than computer terminals and close access to shared cafeterias. But for every company that has managed to subsist primarily on word of mouth from customer to customer, growing without any marketing push, there are many more who would value greatly from the help, and others who actually do make marketing a key component of their efforts. Seeing the difference is obvious. The issue is this. Many engineers have great ideas and are very bad at explaining these ideas. They may have smart ideas and can't get the point across to customers, partners, press, VCs, or any influential folks. Often, engineers are so heads-down in their code they don't adequately understand the competition and their strengths and weaknesses. They don't know what people are saying about their products or those of the competition and don't know the backgrounds of people making comments. Marketing is not about jumping in to save a sucky product. God help those marketeers who have to work with sucky products. That cannot be fun. Marketing is about translating geeks' efforts for human beings, reducing sales cycles and translating intrigue into value. Marketing is often called in to help analyze the product to determine its benefits, to collaborate on the feature roadmap, to influence the influencers, and make the many tweaks in the product and the way it is described to graduate it from a good product to an amazing one. The most valuable technology company in the world today is Apple and they do incredible marketing in practically every respect in how their products are designed, executed, sold and discussed. Wilson's argument could match Apple's, saying their profit per customer is so high that they should spend more, but the company has achieved a cult-like status through delivering through traditional Marketing efforts a way to make you think something which is possibly marginally better than the competition is dramatically so and has no equal. Nike, Sony, BMW and many other household names deliver panache that enables them to drive higher profits and premiums by making equivalent seem extraordinary. Silicon Valley (and its ecosystem, not geographically limited) seems tilted against marketing as a discipline now thanks to the high profile successes of a handful of companies that let the network effect drive them. Google's product leadership practically all have engineering backgrounds. Twitter and Facebook, LinkedIn and Foursquare all relied on viral mechanisms to grow astronomically with relatively imperceptible marketing. Google famously avoided traditional advertising for most of its life. It's got geeky marketers often feeling like they are on the outside looking in, unable to make an impact at some of the industry's top startups. But have you ever seen the typical cofounder describe their product or give a presentation for any more than ten minutes? Have you seen a product manager sit down with an eager reporter asking more than softball questions, cringing at what they might say, or how their personal oddities could submarine the company's reputation? I have. Many times. And besides, think of all the many products Google does have that should get a Marketing push that you've never heard of. Google Code? Web Elements? HotPot? Buzz? Sometimes I am tearing my hair out watching companies that should market this stuff sit relatively idle. My first real marketing job came in 1999, when I was tasked with running a consumer Web company's Web site, writing product descriptions, FAQs, customer support interaction, press releases, etc. At a nine or ten person company, basically anything that wasn't code came my way, made extra challenging by the development team being Russian. So I was constantly translating Russian English into real English and hoping it made sense on the other side. We had a great product for online conference calls, faxing, Web meetings, which was arguably comparable to WebEx. But WebEx had a $35 million marketing budget, including budget for a Super Bowl commercial starring Ru Paul, and we got eaten alive. Working relatively for free, we were lucky enough to be covered in TMCNet and others and attract thousands of customers to our low-end plans before Oracle came calling in mid 2001 to buy the company. More recently, in my Marketing role with my6sense, there is some of the same element - translating Israeli English to "real" English (they'll forgive me for saying so), and again, being challenged with a fantastic idea with real value, and translating it to customer benefits, finding new opportunities for partners and discussing future roadmap plans. Our recent launch of a Chrome extension for Twitter.com, the first step beyond mobile, gained coverage from practically all the top tech blogs in our space, and pushed significant new customers. We clearly lack some of the social elements in our application for virality today, and have more work to do on the Web site, messaging, etc, but without efforts to expand our customer base directly and through influencers, we would be much further behind. 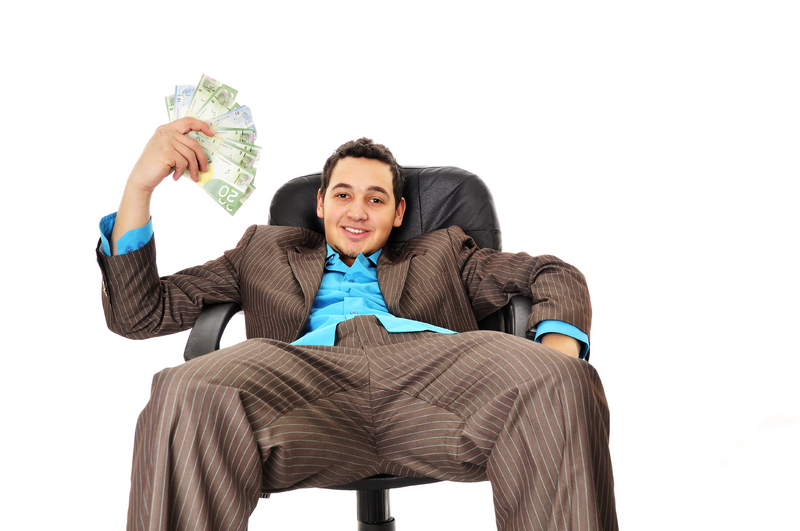 Marketing often gets a bad rap in today's world because it is seen as a cost center. In my 8 1/2 years at a network storage startup from 2001 to 2009, I started in a role of eMarketing Manager and grew into the role of Director, Corporate Marketing, seeing all parts of the marketing, PR and business development craft - good and bad, through high times and recession. When budgets were eviscerated in 2001 to 2003 following the 9/11 attacks and global economic slowness, I violently made sure I was not part of the problem, but part of the solution,finding ways to bring new customers for free or inexpensively, avoiding high-cost advertising and maintaining high visibility for the company when others were going out of business. Smart marketing does not have to be expensive - and smart companies would not invest in high costs with low return. I do not believe in high priced sponsorships for trade shows. I do not believe in run of site banner ads and sponsorships. I do not believe in demanding flashy collateral or Web demos when simplicity rules the day. I do not believe in valuing one's success based on Facebook fans and Twitter followers but in real deals, customers and dollars. Smart marketers will adjust to the new world of communication, partnerships and PR instead of digging in their toes and getting outflanked by those more flexible. What's needed in Marketing for these changing times is for the average Marketeer to get more technical. One must grasp the venues where your products can be distributed, must know how to speak the customers' language, and must be working hand in hand with the product development team to deliver a top-quality experience. We're not rated by how much we spend. We're rated by how much we deliver, and there are too many products out there today - many I get pitched on - that could use a little retouching by somebody who knows something about Marketing. One of the biggest steps for Quora as it gains increased use and visibility outside of the Silicon Valley niche is to try and maintain high quality answers to questions despite massive scale. With traffic spiking after a few months of intense visibility, there's no question the site's team and assigned moderators can't be expected to separate the wheat from the chaff for every question. For the service to succeed through scale, the Quora community will need to pull more of the weight, starting with providing explicit feedback for answers to questions, as those without any upvotes or downvotes don't deliver feedback to the system, and are orphaned. Quora recently added the option to "Rate New Answers" in a prominent place on the service's front page, to the right of the Q&A feed. When I visited this evening, I found 25 answers, which had not yet been rated by the community, waiting for an upvote or downvote from me. If you do click to rate new answers, Quora says you are doing your part to help the best answers be discovered. When one is rated, click Next to rate another, until your batch (my 25) are completed. Assuming a good amount of the population rates a solid number of answers, the likelihood that answers will lay fallow without any feedback will be dramatically reduced. If the quality of the upvoting and downvoting remains strong, it's another explicit signal that will help Quora maintain high value. Keep in mind that while it may feel like community service, those you do upvote will be listed in your Quora site activity, so it's not exactly invisible. If you're someone who wants to keep your activity feed pristine, on topics you've sought out yourself, you might want to not participate, but that'd be a little OCD now, wouldn't it? While I am typically skeptical when it comes to products from Microsoft, I am remarkably surprised by the great quality of Windows Phone 7. Over the last few days, I have been using an HTC HD7 device running Windows Phone 7 alongside my Android devices and occasional iPod Touch use, and without reservation, I believe the Windows Phone 7 experience to be a serious challenger to both platforms in terms of quality, intuitive use and simplicity - things you usually won't catch me saying about Microsoft, or Windows specifically. As I wrote back in June, I am trying to offer true pragmatism in a world of fanboys - a real challenge, especially when it can be fun to debate platforms, operating systems or our favorite technology innovators. Like I did in that same month with my initial tests of Android and the HTC Evo, relative to my iPhone, I've put my primary phone aside for the most part in the last few days, using it only for phone calls and the occasional app I can't get on Windows Phone 7. Fair is fair after all. 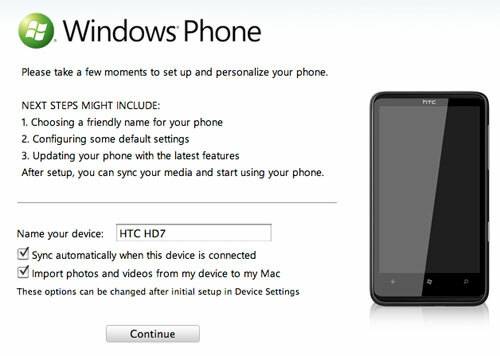 A Windows Phone 7 Syncing With My Mac? Armageddon, Right? What I've found is that Microsoft has delivered what is quite possibly the most innovative approach to the mobile phone interface since the advent of the first iPhone. While most Android and iOS products are best represented by screens of application icons, with the occasional folder or widget thrown in for good measure, Windows Phone 7 brings tiles for some of the most useful actions to the front of the device, such as phone, mail, Internet Explorer, the marketplace and People, which draws heavily from your Facebook account, if you connect the two (and you should). Beyond the first page of tiles, accessing all downloaded apps is a simple swipe to the left away, and you can add any app to the front page by long pressing and clicking "pin to start", keeping in line with Windows' traditional message of the Start Menu. Contrary to Android's Wild West mentality in terms of applications, due to the device being an open system, Microsoft's user interface guidelines are seen everywhere. Every app elegantly fades in and out when open or closed, and you can swipe between different aspects of the app in what's known as the panorama. 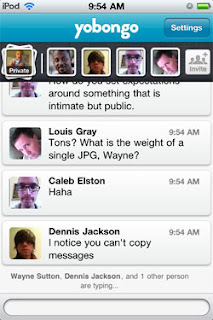 Every app presents a unified top-level font and sub-level fonts for lesser important items. When necessary, these apps too use the same tiles present on the start page of the device. What is lacking in creativity is more than made up for in each app behaving in the same way as expected, and a dramatic cutdown on the learning curve. Calling this phone OS Windows is pretty much a detriment to the device, in my view, thanks to that OS' history and associated baggage. Luckily, there is no such thing as a Start Menu in the traditional sense, no Windows Dock, and no obvious folder structure riddled with tie-ins to 1980s-era DOS. Without being too detrimental to Android, my current mobile OS of choice, one need only look at the crazy ways users are trying to upgrade their Samsung Epic devices to Froyo to understand how much work is needed on that end to get away from the geeks and more to the mainstream. After a year or so of being on a cloud-oriented mobile OS, I was almost surprised with how easily the Windows Phone 7 device easily synced with my Mac and the relevant files. Forget about the Microsoft vs. Apple arguments of the past. 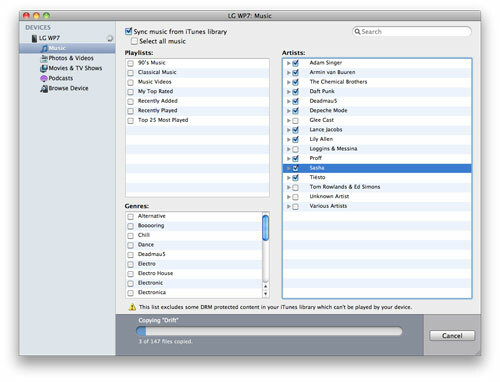 I just downloaded the free Windows Phone 7 Connector for Mac, connected the device by the included USB cable, and immediately had access to my iTunes and iPhoto content on my HTC HD7. This alone is further than I've ever come with my Android phones, which to date have simply pushed content from photos I've taken back to the computer, and not bidirectionally. This doesn't change my view that yes, the Web will be the center for the mobile world going forward, but it is somewhat reassuring to know I can always go back to the PC (in this case a Mac) as the hub if needed. I'd like to see Google offer an equivalent desktop sync for Android users, even if it did nothing else but visually display how data was moving between the phone and the cloud. Within minutes of turning on the Windows Phone 7 device and connecting to my home WiFi (on Apple Airport), I registered my first Live.com email address, and was able to browse the included Marketplace, which like iTunes and the Android Market, is separated into categories for easy browsing (HTC Apps, apps, games and music at the top level), and into top apps, new apps and free apps, much like its counterparts. 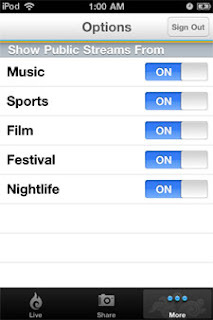 This led me to discovering and downloading many apps for the device, starting with the basics like Seesmic, Twitter, Facebook, Foursquare, Stocks, the Weather Channel, YouTube and others. 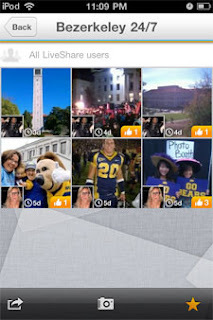 In each case, the apps behaved as expected, but with the simple Windows Phone 7 UI. 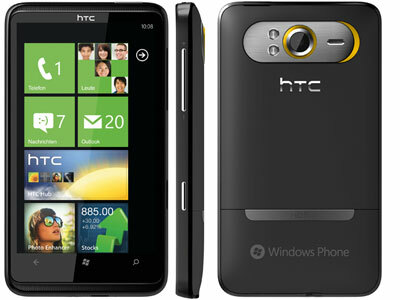 Where Windows Phone 7 is lacking thus far, as you can expect, is in the breadth of apps. So far, there is no Angry Birds (though that's been announced). There's no native client for Sonos or Spotify, which has me tapping into my local music library, and it's a little shy (so far) on top-quality games. That's no surprise given Microsoft's current position in the market, and relative newness of the platform, but if they can move beyond the initial reports of slow sales, there's a good quality environment for users in here. And yes, there's no copy/paste yet, or even screenshots. Too bad, or I'd show them here. To be entirely fair, I haven't stress tested Windows' calling qualities and features as I did Android. In fact, I haven't even inserted the T-Mobile SIM card that came with the device, because I don't want to start a new number and new plan with yet another carrier. But even with simple WiFi access, I have been able to see how the device handles browsing the Web (quite well with Internet Explorer), the accuracy of its GPS, via Foursquare, and how well it handles e-mail and other social networking activity. The product's close ties to its Zune family also actually present a high quality music and video experience as well, which gets even better considering the bundling of a native Netflix app for Windows Phone 7 which means I can instantly stream anything from my queue right to the device. When I switched to Android, I correctly forecast that Google's inroads with multiple manufacturers, carriers and eventual user growth would lead to more developers and higher quality applications. This has happened, and has steadily improved my experience on Android, including to tablets like the Samsung Galaxy Tab (which I own) and the Motorola Xoom, which debuted yesterday. What's interesting about the Windows Phone 7 experience is that there's no drop-off in quality from one OS to another. If forced, I could absolutely live within this device and not be too much worse for the wear. I'd miss quite a few apps today, and might find myself without the breadth of options available with Android, but make no mistake, this is the most pleasant device I have ever used that sports a Windows icon, and I am eager to see if Microsoft can overcome their rocky start in smartphones to be a real challenger. The more the merrier. Real Valley Stories: E-Commerce Analyst or Black Hat SEO? 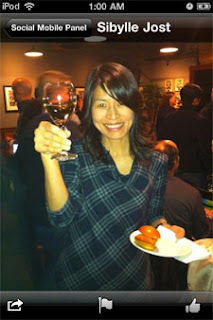 Editor's Note: Part two in an irregular series of stories from my 12 years in Silicon Valley. The first one was posted in December about my first interview at my first job. 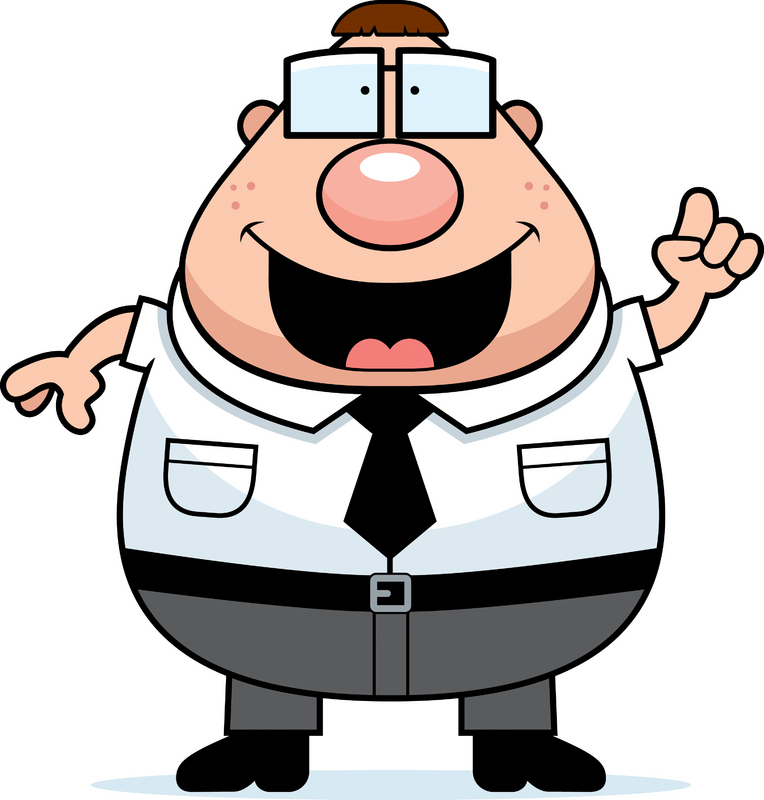 E-Commerce Analyst or Black Hat SEO? After years of reading about people like Steve Jobs, Larry Ellison and Bill Gates in books, newspapers and magazines, I had finally gotten a real job in Silicon Valley in 1998. Lacking a computer science background, but being HTML savvy enough to administer a small Web site, it was clear I'd be doing a lot of writing, with some coding. But in the Wild West mentality of the late 1990s, at a company with a grand total of three people, myself included, the actual job was something of a work in progress. The company had big aspirations - helping other businesses recognize the full potential of the Internet, and to gain a top Web presence, especially when it came to the new world of search engines, led by names including Alta Vista, Excite and Lycos. Our first projects surrounded chronicling Silicon Valley History, ranking the top 100 computer magazines through our set of practically arbitrary rules, and one of our biggest tasks, looking at the top 100 technology companies, ranked by market capitalization, and then contrasting the way Wall Street measured them with the way the Web did. Our theory, which was both right and broken at the same time, was that the more links a company had to its domain in the search engines, the more highly the Web perceived them, and how well they would perform in the future, especially to a tech-crazy stock market excited about page views and future growth rather than present realities. As we ranked companies both by traditional means and new methods, we came up with a new benchmark we hoped would take hold, called IVB (the Internet Valley Benchmark), with a derivative called the iFactor (its Web value divided by sales value). If a company held, for example, the #10 position for both market cap and Web ranking, its iFactor would be 1.0. The real fun came when a company would be much higher in one ranking versus another. For example, if a company with a market capitalization of $1 billion had a Web ranking that would put it in the position of a company that would have a $15 billion market cap when given the same ranking in financial terms, its iFactor would be 15.0. Conversely, the opposite result would be a piddly 0.07. Not great. This sounds like silliness now, but at the time, it was surprisingly insightful. Apple, which has always had a high following online, with many links (due to QuickTime back then, mostly) scored with a 3.54. In contrast, Compaq, Dell and IBM, Web laggards at the time, were less than one, while Adobe, Symantec and Microsoft had very high scores (thanks to PDF, anti-virus and IE, respectively). In time, with the dotcom bubble in full swing, I Was asked to take this same data and use it to look at Web companies looking to go public. WIth a CNBC-addicted public, including myself on days I worked from home, and my boss (who often came into the office after market close, mid-afternoon Pacific), this became one of the most exciting parts of my odd role. And to be honest, the predictions were very good. I could look ahead at the week's five or ten planned Internet IPOs and hand-pick the best two or three, accurately forecasting which ones would spike to a solid market cap in the first few days, and which would flop. My reports were printed out and handed around the office, including to our sister company's employees, who ate them up like candy. Thus, the title of e-commerce analyst. My boss had grown enamored with this title being bandied about on CNBC by proclaimed experts, so at age 21, holding no degree, I was starting my day with classes at UC Berkeley, and driving across the Bay Bridge to play Net trends guru. In parallel, my boss had cooked up some intriguing Web marketing magic, which was dramatically successful at propelling our content to the top of the search engines of the day. Our tactics, including multiple domains linking to one another, white text links and keywords on white backgrounds, massive amounts of interstitial landing pages chock full of keywords to aid search engines along, are head-slappingly obvious violations of Google's SEO guidelines these days, but in the late 90's, without clear rules in place, it felt like the Wild West. It looked like magic, and we thought we could change companies' businesses by applying the same tricks to their own site. IBM Would Pay Billions for This! That's where the two tracks got mixed. If we believed strongly in the power of Web links and search engine rankings as forecasting future market cap and sales, then the thought was we could bring our software to the big giants of tech that lacked the Web's leading position. We hoped to take our magic to someone like IBM, promise to add on $1 or $5 billion to their market cap, and simply ask for a percentage of that increase. You know... a few million here or there for our efforts. Of course, this didn't sell very well, especially when third parties instead told us our software was probably worth closer to a hundred bucks than a hundred million. That will lead to our next story, when our fun little experiment got voted down faster than a last-minute makeshift volcano at a science fair. In the four months since Yobongo first gained attention, CEO and co-founder Caleb Elston has been working to prepare his product for the visibility and scale potentially demanded by what's potentially the world's biggest tech event, SXSW, an environment which can catapult new sites into the stratosphere, or should they fall flat, have them forced to regroup. The service, currently in private beta on the iOS platform, has seen increasing activity at practically all hours, the equivalent of an open bar for discussion with members of the local community, which never closes. In the last few weeks, I've finally found a reason to keep my iPod Touch nearby, in a home full of Android devices. The magnet-like pull is from Yobongo, whose goal is to bring people, potentially perfect strangers, who share a geographic location, together to talk about anything. The application's real-time nature, enabling true conversations between friends and others, goes beyond the world of serve and volley status updates or Q&A, putting the focus back onto the world of conversation instead of performance and counting of replies, retweets and likes. In fact, there are no points of feedback for updates - just a constant flow. Yobongo in Action. Note notifiers for private messages, number of people chatting. The concept hasn't changed since October, with the idea being people in shared spaces may discover they have common interests and can engage in intriguing discussions. For the many of us who routinely bump into the same faces and avatars on every network, this could be refreshing. Yes, just like any other social situation, it's easier to talk to those you know than those you don't, but Yobongo eases that process by mixing everyone in a single space. 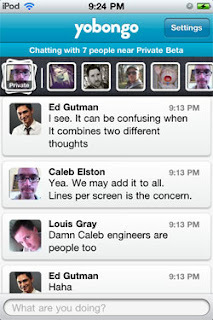 So each morning, after turning off the iPod's alarm, I peek at Yobongo to find Caleb talking with users in the private beta. Some folks I know, and others I don't, but I am getting to know. And it's incredibly easy to jump into the stream of consciousness. For one, your avatar displays when you open the app, so they can welcome you. Second, the app doesn't start with a blank screen, but shows all the text flowing through the river - with the newest updates below. Should you want to, you can scroll up and see how the conversation evolved, see updates from people whom you may have missed, and get caught up. Posting to the site couldn't be easier. There are no groups to join, as with other apps, some I like a lot (including Beluga and TextPlus). There are no demands to friend folks, as you're already connected to everyone live. And once you start typing, everybody knows because the system lightly says "... is typing." If more than one person is typing, the system updates there too. 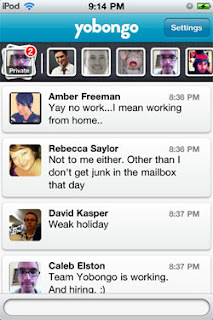 So you immediately, even in a small space like the iPod Touch, get an idea for all the participants, the ongoing messages, you can get updated on private conversations and see the thread as it evolves. Not bad. An active Yobongo chat and a separate private message. Caleb, previously highlighted on this site for his work with Toluu, Kallow and Kickpost, started the project with fellow Justin.TV ex-colleague David Kasper, who is responsible for engineering while Caleb handles product, the "yin and yang" of the operation as it stands now, he told me. While the company has been mentioned in the same breath as big group chat monoliths like GroupMe and others who have raised millions, Yobongo has not yet taken any funding. Lucky for them, they do have free residence at Dogpatch Labs, courtesy of Mike Hirschland and Ryan Spoon of Polaris Ventures, who would probably have the first in to a round A if Yobongo wanted to be YoFunded. Like Quora, Facebook and other sites, Yobongo holds a few rules to help avoid abuse of the system. It's preferred that guests use real photos and use their real names. The app's short community guidelines ask to "be friendly", "be respectful" and "be authentic". Does the world need yet another place to chat beyond the big social networks, and new places like Convore or the host of group messaging participants, including Beluga, GroupMe, MessageParty and TextPlus? It seems to me there is room for a lightweight system that doesn't feel like work, that is open to all who arrive, and leverages proximity. Whether Yobongo is the solution to an event like SXSW or not, only reaching those on iOS, remains to be seen, but I can see clear value to talking with both the friends you know, and the friends you don't yet know. You can get in on Yobongo's private beta list by heading to http://www.yobongo.com. The service's first official intro video is below. Yesterday NPR Reporter Linton Weeks posted a interesting observational piece on the accelerating pace of news, from its discovery to a reaction - spurred forward not just by the 24 hour broadcast networks, but the parallel growth of social media, which sometimes plays the role of news starter, news observer or news distributor. (See: Media Black Hole: So Much News That We'll Implode?) His example of a congressman who resigned due to scandal before the public had even been aware of the scandal was an interesting one, not necessarily indicative of the trend, but smart politicking. That said, he correctly notes the trend of all these publishing places to be first, fastest and continuously on - often at the expense of quality and the viewers' ability to understand what has transpired. Included in the piece were some comments from me, where I echoed some of my thoughts over the years on this blog and elsewhere, that people are choosing to select a few preferred sources over others to filter the news on their behalf, and often, they are checking out of the need to be fully informed and understand the facts behind the spin. It's a lot easier to turn off CNN and go play FarmVille, or to have Glenn Beck tell you the evils of Obama's legislation than to read it yourself, after all. This discussion plays well into the often-discussed debate of information overload or filter failure. As I share often when talking with partners of my6sense, quality of conversations on blogs and comments have decreased in exchange for lightweight tokens of appreciation - including retweets and likes. People move fast because they can, first of all, and second, because they fear they don't have the time to do more - that something else interesting is behind the next link, tweet or email. "Will there come a time when we will want processors to do something slower – or at least appear to do something slower?" "To help surface the best stuff for you as an individual, personalized based on your interests - so you see the best from all your streams and can skip the rest. A slow computer is the opposite of what we need. We need fast interpretation of streams and ranking." Personalization based on one's interests doesn't mean buying into an echo chamber effect, but skimming off the noise that's unrelated. Smart systems will still find you trending news that you must see, even if you haven't given explicit signals of interest. But the way to survive in the world of faster distribution and decision making is to avoid getting caught in time-wasting triviality. The news is faster. The ability to exist in an accelerated world, in my view, is as important or critical for the world of the future human as typing skills. If the data deluge is slowing you down, you need better tools or a new agenda. Disclosure: I am VP of Marketing at my6sense, which makes tools to personalize the new world of streams. 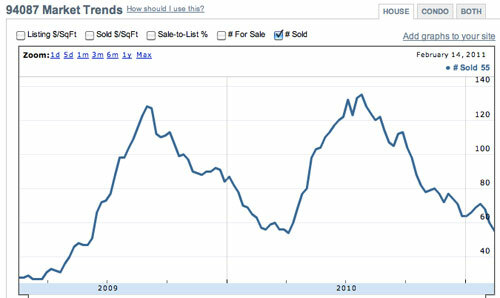 I've long praised the value of Redfin for tracking the ups and downs of the real estate market. I named the site my number one Web service of 2010, after telling you how it did so well for us that we practically single-sourced our home search last Spring and Summer on the site. Even after our home purchase, I've kept frequent watch on Redfin, and they're showing home sales dropping and prices falling in a cold winter market. But they take the trend beyond that of a gut feeling, now offering users the option to dive deep into local trends, by zip code, to see trends, recent sales, and even give tips on whether you should wait a few months for the price to drop. Watching my own home, just in the last month, the price has dropped by about $30k (according to Zillow). For the 30-year mortgage owner, this shouldn't be a big deal, but it's indicative of what's happened in our particular part of the Bay Area. Redfin said January was chilly for both sellers and buyers, as activity was on pause before the usual seasonal ramp-up for spring and a busy summer. But they insightfully noted price drops on the West Coast with other parts of the country being "mixed." It's no wonder my nightly emails from Redfin on sales haven't filled me with good thoughts of late. Just below this array of information, one finds graphs of market trends, including price per square foot, sale to list percentage (indicating whether a neighborhood is hot or cold), the number for sale and the number sold, by zip code. Unsurprisingly, given the chilling winter market, data in my area shows sales below list across the board, combined with a lower number of sales than any other point in the year. As more communities become supported by Redfin and the company starts to follow and aggregate more statistics, there becomes real potential for the site to act as a data-rich barometer for a critical part of the economy. For every Web wonk professing a "bubble" and an imminent crash, it's clear that the financial world has a lot more work to do. Redfin's seeing the way it really is, down to your zip code. Try yours. Now that Honeycomb (Android 3.0) has been unveiled, native on the Motorola XOOM, and recently announced new Samsung Galaxy Tab 10.1, Android users are at a proverbial fork in the road - with Froyo and Gingerbread (2.2 and 2.3 respectively) being the shipping mobile OS for handsets and Honeycomb the approved OS for tablets. It's a fork in the development plan that looks like it's temporary, with rumors already out there that the next version of Android, said to be called Ice Cream Sandwich, will unify the two versions, once again giving users a single OS build to choose from. Confused yet? Well, you wouldn't need to be if Google hadn't unfortunately called its 2.2 offering, Froyo, unready and not optimized for the tablet market. In doing so, it set expectations for users and developers of a split in the OS, and gave undue ammunition to rival Apple, who frolicked in the gap when reporting sky-high iPad sales. 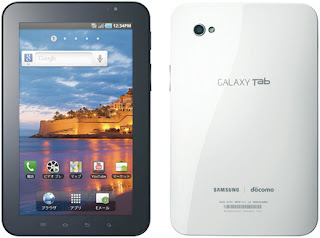 Despite Google's warnings that Froyo was not designed with tablets in mind, Samsung sold millions of 7-inch Galaxy Tabs to consumers, while Barnes and Noble set sales records for its NOOKColor, similarly built on the 2.x OS line, and other manufacturers tried their hand at the growing Android tablet market. As a user, I've been very pleased with both the Galaxy Tab and NOOKColor, which feel as natural as a large Android phone, and have significant parallels to the way the iPad felt after years with iPod Touch and iPhone. 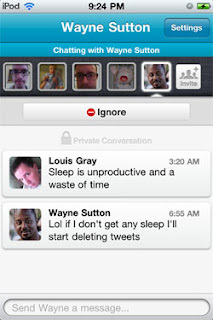 From the demos and reports of Honeycomb's new UI, the upgrade looks very impressive. But if major steps were taken with Android to make it a superior tablet experience, then why the plan to unify the tablet and phone experience again - a la iOS? Curiouser still, at least to me, was how Apple was so successful in framing Google's comment on Froyo and tablets at the same time when iOS itself was not necessarily optimized for tablets. At the same time when Froyo 2.2 was the only answer for both phones and tablets, iOS 4.2 was the only answer for both iPhones and iPads. Yet, one strategy was seen as right and the other wrong. Meanwhile, previous to this, iPhones and iPod Touch gained access to iOS 4 while iPad was still on iOS 3.2 - so yes, there was a time when Apple had a phone OS and a tablet OS, which was seen as okay, a temporary issue, and now that they have a universal OS, where the phone looks like the tablet, this too is accepted. Win, win! As a Galaxy Tab user, running 2.2 on a 7-inch tablet, it's clear there are a few steps Google could have taken to make it more ready for tablets. Amusingly, there are even error messages that refer to it as a phone when you need to charge its battery, as Froyo assumes a phone. But it's a great device, and in my opinion, comparable to the pair of iPads we have in our home, just in a more portable device. Which leads us to the next discussion... where do phones leave off and tablets begin? Our 32 Gig iPod Touch looks like a tablet. 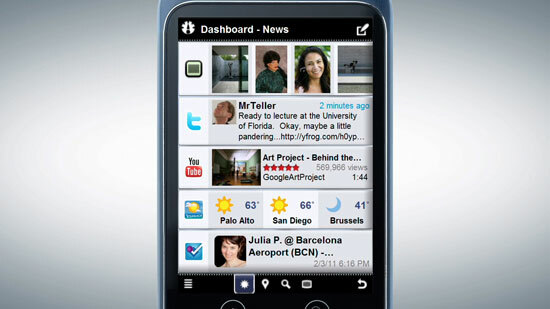 Go a little higher to the Samsung Epic 4G and HTC EVO and we're at a 4-inch screen. The Galaxy is 7 inch, the iPad 9.7 inches... and so on. If it's a flat screen device with a touch interface, is it not a tablet? And should one OS rule both? 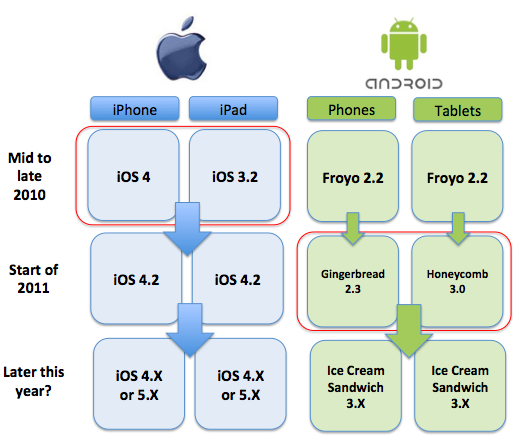 Seems to me that Android and iOS both do fine at any size, and 2.2 is a great option, even if 3.0 is even better. Google may have a head of steam behind it now, one that will accelerate when Honeycomb-based tablets are more easily available at lower prices, but I think they could have saved themselves some serious PR headaches if they'd just played the Apple card of what was shipping was good enough. What is Android's market share against iPhone? In August of 2010, Nielsen claimed shipments of Android beat iOS for the first time, representing 27 percent of the market against 23 for Apple. By the end of January 2011, a second firm reported news that Android was number one overall, topping Symbian, while practically doubling that of iPhone (32 percent to 16 percent). On the same day, a third firm, NPD, said Android outsells all other competitors combined, with a US market share of 53 percent. Which one is right and who cares? How many firms get to announce that Android is number one overall or that it has whatever percentage lead over iPhone for installed users or for the most recent quarter before they all agree? I think I've seen this story before (repeated 100 times). Do consumers select a product based on market share statistics alone? I hope not. Of course, in contrast to the calculator rattling at all these firms, in addition to IDC, Gartner and the box counters of old who are taking turns counting newer and smaller boxes, you've got the Apple faithful who are going to do a great job arguing that Apple isn't in the market share race after all, that more people pay more dollars per iPhone than other platforms, and that developers make more money on their platform. Take a look at the latest report from Mac faithful site AppleInsider for their take, saying today that Apple's rivals battle for iOS scraps. Can we all, instead of repeating every little survey that ekes one side up a percentage point here, or down another there, simply agree that the iOS is a great operating system, that Android is increasingly high quality with similar features and some solid innovation, and that the total population of Android users is increasing at a faster rate, thanks to broader priceband support and business relationships with handsets and carriers? I don't know which firm is right on which number, and frankly don't care. Like I've said many times over the last year, one's choice in mobile is a personal choice based on preference now. Nokia has fallen in love with the Microsoft Borg, and that leaves iOS and Android to have the dual battle many have been begging for, with the numbers playing out as we expect them to. Developers who are launching iOS only are a rarity these days. Instagram, Path and Flipboard are all notable for having great interfaces but also because they are the exception and not the rule. I'm glad we've moved on somewhat from counting apps on each marketplace, but I think it's also time to move on from counting total units. Just recognize that smart developers are going to develop for both places, and consumers who make a move - to one platform or another - are going to find the apps they know and prefer available. Even if Android grows to take 80 percent market share, which maybe it will, Apple knows how to live in its world of a smart minority. So let's cut out the garbage market share reports that flail in accuracy or in detailing anything we don't already know and instead, watch the results of two very different approaches to business models and customer focus take place in front of our eyes. It's the most interesting battle since the IE vs Netscape wars of the mid-90s, but this time, nobody's going to get crushed. 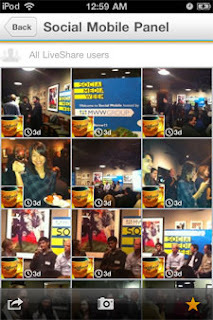 The convergence of two major trends in the world of social - intimate hand-selected social networks and mobile photo sharing have converged on Cooliris, the Palo Alto-based company best known for its 3D Wall application, and the geniuses behind my personal favorite Gallery application for Android. In the crosshairs of this intersection, the company today is announcing LiveShare 1.2, a new group sharing photo stream service, and in parallel, the addition of nearly $10 million in series C funding from existing investors, including Silicon Valley legend Kleiner Perkins Caufield & Byers. 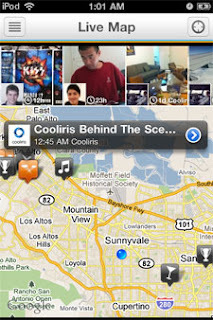 In the same frothy environment that has pushed peers like Instagram, Path and PicPlz to significant levels of visibility and in some cases valuation, Cooliris has delivered an application that lets users create photo streams on the fly, share them with any number of friends, including the option to make them fully public, and enable others to take action on your photos. While there are dozens of photo sites and applications out there, I've long felt a big gap has not been met in unifying the ability to support groups and events for shared experiences. If one has a hashtag at an event where everybody, including strangers, can participate, then why not also deliver a shared photo stream for all who took place in an event? Cooliris' new LiveShare capabiltiies make this a reality as you can view public streams, search for stream titles, or ingeniously scan your local area for streams nearby. Even if you are starting cold on LiveShare, the application asks you to select whether you want to see pubic streams from Music, Sports, Film, Festival or Nightlife. 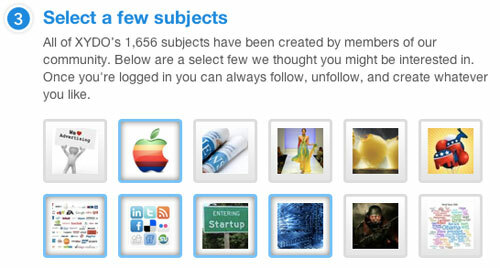 Select all of them to get the entire gamut of updates from friends and strangers in your area. Find a stream nearby, and you can give the location a tap to reveal photos in that stream, complete with relative time of the pictures to show recency. 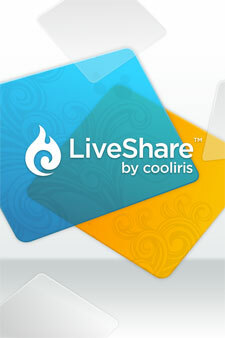 Unsurprisingly, LiveShare brings with it a like feature, as do most top social apps these days. 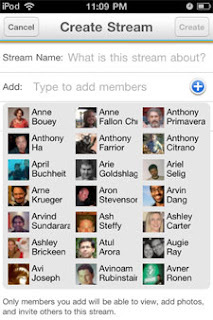 Spot photos in your friends' streams or public streams that catch your eye? Simply hit the Thumbs Up button and provide positive feedback. Alternatively, you can share the item or flag it for being inappropriate - standard moderation tools for apps of this type. The most powerful delivery from the application isn't the fun stuff, like the fancy geolocation features and sharp photo quality, but instead that core value of multiple people posting to the same stream. Instead of having to wade through many different friends' streams to find all the photos of an event, all the friends can share to the same event, and retain record of authorship, so you don't have to worry you're giving away your art. The $9.6 million in series C funding follows $15.5 million in series B funding from April of 2009 and $3 million in series A funding back in July of 2007, according to CrunchBase. In aggregate, the company has raised just over $28 million. Continuing the mantra that the third wave of the Web is one of personalized news, streams and social experiences, XYDO is on the verge of launching what they call a personalized news network that claims to show you only the news you find interesting from all the friends and people you follow across the social Web. XYDO claims to learn what you like, and feels a lot like an intelligent mix between Digg and Quora, tapping into your social graph to discover the most frequently shared articles, spotting trending topics, and presenting the opportunity to follow subjects, sites and users. Founded by Eric Roach (@veroach) and Cameron Brain (@cameronbrain), the app pulls links shared from your Twitter, automatically assigns the links categories (much like Socialmedian once did), and tabulates shares from your network to assign a point value which brings items to the top. But more than a simple share counter, XYDO starts you off with asking for you to select the topics you want to follow and avoiding those you don't. Want to follow Apple but not Android, or want to stay on top of Entertainment News, but care less about World News? XYDO will make that process pretty easy. What you select as your favorite subjects, in addition to the people you follow, becomes what XYDO calls "Your Activity Stream". This differs from the top level XYDO network, which highlights activity across the entire site. Both streams are cut by three sections, including "Trending", "Newest", and the "Top in 24 hours", all self-explanatory and familiar to Digg and Twitter users. Where XYDO gets more interesting than simply yet another top news site is in the details around each ingested item. You can vote specific shares up or down (like on Digg and the since-retired Ballhype sites), you can see what topics each item is slugged with, see who shared an item, and you can even Discuss items within XYDO itself. Each item becomes a potential conversation platform, pulling in the full RSS feed and adding the option to have a siloed comment exchange - a practice which set the blog world ablaze back in 2008, but is practically accepted as standard practice by now. The site starts to feel like Quora in a few ways in that after a few clicks, you could find yourself deeper and deeper into XYDO that you may never get out. 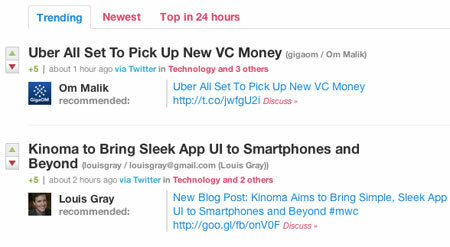 Clicking on one story (such as GigaOM's coverage of Uber getting VC money) leads to more stories on Gadgets, Silicon Valley, Technology and Business. Related articles span the right column on the page, as do the ubiquitous share buttons that allow for sending the item to Facebook, Twitter and other users' in boxes. Of course, from the Gadgets and Personal Technology Page, you can follow this item in XYDO, catch the RSS, and in extreme Quora-like fashion, every single topic features an equivalent Twitter account for tending updates, just like Quora did for top questions and answers. But instead of the q_ prefix, XYDO prefers x_, such as @x_gadgets and @x_techcrunch. For each topic, one finds top recommenders of content and contributing sources. Feel strongly enough and you can add new sources to topics you follow as well. Xydo also offers a multi-faceted search engine that crawls subjects, connections and articles for keywords. Assuming XYDO can accurately and consistently deliver topical content on news I care about, filtered and ranked by my social graph, they've got a strong offering on their hands. Early use, even now that the site is in private beta, shows a high level of signal versus noise, especially after selecting more keywords and connections, while avoiding others. But the service isn't perfectly social. While Quora is social at its core, based on personal answers to topics, news runs the day at XYDO and people are on the periphery. I may find we share interests and you've voted up topics I like. We may even exchange comments on a shared article in the site, but bumping into you seems tangential to the service more than its core offering. XYDO may be in private beta now, but they swear they are letting in new people every week. Existing users, such as myself, can also invite you. So if you want an invite, let me know in the comments, and I will dish out as many as I can find. 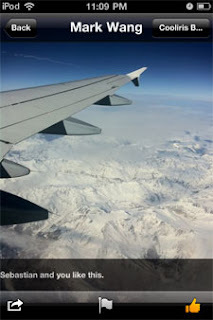 You can find me here: http://www.xydo.com/users/978. Disclosure: Theoretically, my6sense, where I am VP of Marketing, is in the personalized news game, which I should note. Our approach to determining personalization and product deliverables vary greatly from XYDO, however. Near the end of 2010, Marvell Electronics, the San Jose-based silicon manufacturing firm, quietly made an acquisition of a software company called Kinoma, making mobile media browsers and other software for smartphones on Windows Mobile and Palm. This odd couple of sorts has pulled away the curtain today at the Mobile World Congress in Barcelona, Spain, promising to bring a new, elegant software platform for practically any digital device, designed for the new world of touch interfaces, bringing simplicity out of the domain of geeks, but all the way down to embedded devices. The idea? That Marvell ships a ton of silicon - billions of dollars a year worth, leveraging ARM processors that promise high performance and thrifty power consumption... but that don't have a strong UI to match. Kinoma now has a practically infinite playground, to take one of the slickest touch-based interfaces I've ever seen, pointing it first at smartphone and tablets, and later, taking it downmarket to practically every screen you've seen that begs for an overhaul. The pedigree of the Kinoma team is a lofty one, filled with names you probably don't recognize, but whose products you use often. Peter Hoddie, who cofounded Kinoma in 2002, and is now VP of the Kinoma Platform at Marvell, spent nearly a decade at Apple working on the Quicktime platform. Brian Friedkin and Michael Kellner, also cofounders, similarly hailed from Apple, working with QuickTime and the development authoring platform Carbon. The trio's time at Apple delivered two primary focuses evident in today's unveiled product - a focus on multimedia, and a top quality user experience. That they spent years coding for underpowered computers also prepares them well for a world of feature phones and embedded devices in line for a UX fix. Last week, I sat down with Peter for a demo of the new Kinoma interface, and to talk about his vision for a world of proliferating devices. His story was one of applications that could speak to one another, actions that took a single click instead of multiple commands, and delivering resources to developers who want to leverage a consistent user experience. 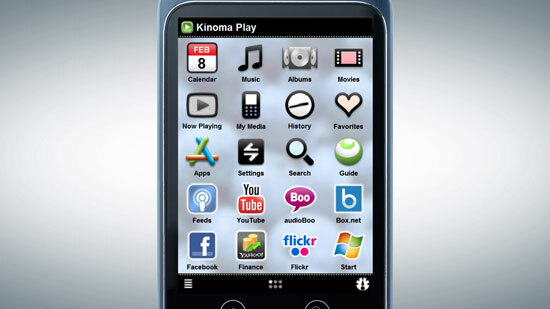 The initial offering, called Kinoma Play, is essentially a new smartphone launcher that starts with 40 native applications, from social media to location and search. Kinoma's underlying foundation will be open sourced, and Marvell can then focus on optimizing the software layer for the company's chipsets. "What we can do as part of Marvell is bring sophistication from the smartphone market down to embedded devices," Hoddie told me. "Think of it as an evolution. There were computers which became phones, and we adapted. Some of these lower end devices are stretching it another direction. Bringing a great user experience to these devices is a big deal." Unlike many software manufacturers, whose hardware demands continue to increase with seeming incremental solutions, Kinoma's expectation is to run with small amount of code for even the simplest of devices - and the the product's SDK is intended to make new platforms accessible to a broader audience than has typically been available from offerings such as Android and iOS, which require languages like Java and Objective C.
The Kinoma interface is incredibly sleek, centered around a new experience called a Dashboard, which brings features and events from an application to a single place, described as being both "infinite" and "self-organizing". There is even an application called History which shows all activity across all applications in a single place. "The whole experience becomes the baseline for people to build on top of," said Hoddie. "Apple brings design to the party, but makes it challenging for people to achieve to their level. Google brings an open platform, but not the thoughtfulness to user experience. We are the right solution at the right point in time that the market needs right now. Smartphones and tablets aren't the only game in town." One of the more intriguing aspects of Kinoma is the capability for applications to interact and link to one another, rather than their trying to do all tasks or being solely limited. While they can speak to one another, Kinoma acts as the glue to bring a consistency in the operating system and applications. One can see the Kinoma launcher sitting atop Android phones and Windows 7 phones or other smartphones in the future, even as the smart UI travels downstream to devices most of us might not use every day. So why Marvell? Kinoma's no babe in the woods, with 8 years of history, and they recognized they needed a big partner to provide the business muscle, developer resources and OEM relationships to gain serious traction. "As a small company, we could be innovative and controlled our own destiny, but it wasn't enough to be small and clever," Hoddie said. "We were going to need more resources. In parallel, Marvell was seeing how important software was to what they were doing. Being close to the hardware is important, but also getting closer to the ecosystem, which will be a huge deal for Marvell and lift the entire industry." Kinoma goes live at the Mobile World Congress in Barcelona today, and it won't be long until you can try out their unique interface on smartphones near you.